On Saturday, May 14, 2016 at 1:00pm Arlene Wright Vanderlinde, ASID, CID will give a presentation on “Ward Wellington Ward in Rochester, New York” at the Onondaga Historical Association, Gambrinus Gallery, 2nd Floor, 321 Montgomery Street, Syracuse, NY 13202. The event is free and open to the public. Ward Wellington Ward (1875-1932) was the quintessential Arts and Crafts architect. His designs reflect the popular architectural styles of the time, but always with exquisite attention to detail and the use of the finest materials and craftsmen available. Ward practiced architecture in Syracuse, NY for only 18 years (1908 to 1926). 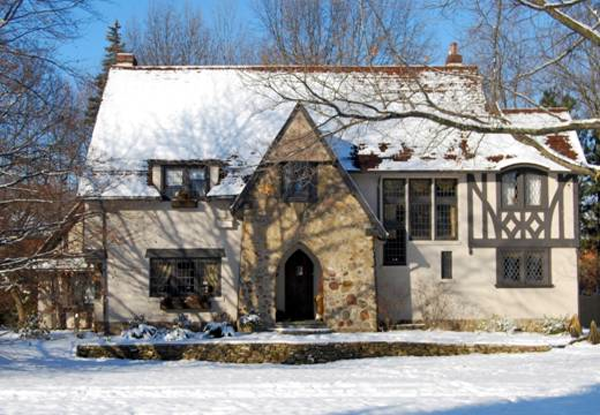 While two-thirds of the more than 280 houses which he designed during that period are found in the Syracuse area, a surprising number (38-45) were for locations in Rochester, NY and its suburbs of Brighton, Pittsford and Irondequoit. These homes still beautifully impact their locations today. Most of his designs are well documented, thanks to art historian Cleota Reed, but some designs have recently been “discovered” and several of his later Rochester commissions remain mysteries. The Rochester Ward Project is seeking to clear up these questions and see Ward’s Rochester treasures become part of the National Register of Historic Places. Arlene Wright Vanderlinde, ASID, CID, is a graduate of Syracuse University and has practiced interior design for over four decades. She is principal in the firm of Wright Design Associates. Her specialty is residential, commercial and institutional structures that are considered historic. Ms. Vanderlinde is now “partially” retired so she can pursue her passions of historical research and writing. For more information on the event contact Bill at bowen59@verizon.net or Dave at rudd@daltons.com. The Walter Will House (1923), Brighton (near Rochester), NY, Ward Wellington Ward (1875-1932), architect.